Use on Machines Manufactured between 1997-2005 that have an Orange or Red Learn/Smart Button. Use on Machines LiftMaster, Chamberlain or Sears Craftsman Openers Manufactured between 1993-1997 that have a Red or Orange Learn/Smart Button. *LiftMaster 970LM and Chamberlain 956CB are interchangeable and may be substituted for eachother on all orders depending on stock. 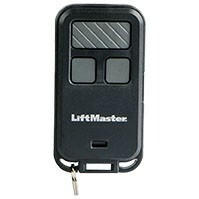 LiftMaster 890MAX 3 Button Mini Keychain Remote. 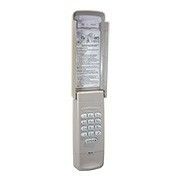 893MAX LiftMaster 3 Button Remote.